Author(s) Morris, A. J. 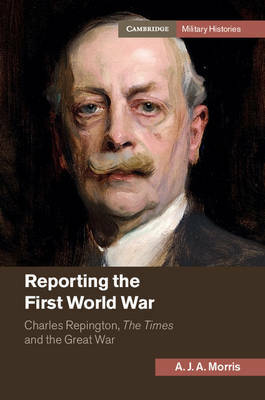 A.
Charles Repington was Britain's most influential military correspondent during the first two decades of the twentieth century. From 1914 to 1918, Repington's commentary in The Times, 'The War Day by Day', was read and discussed by opinion-shapers and decision-makers worldwide who sought to better understand the momentous events happening around them, and his subsequently published diaries offered a compelling portrait of England's governing class at war. This is the first major study of Repington's life and career from the Boer War to the end of the Great War. A. J. A. Morris presents unique insights into the conduct of the First World War and into leading figures in the British high command: French, Haig, Robertson, Wilson. The book offers modern readers a rewardingly fresh understanding of the conflict, and will appeal to scholars of the First World War and British political and military history of the period.